…and how to embrace the victory available to you through Christ! 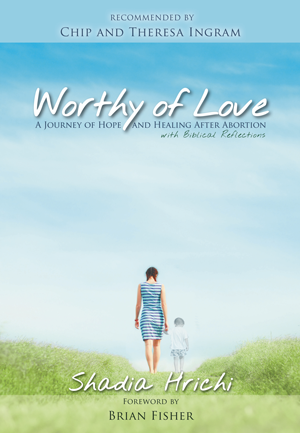 View the Worthy of Love Leader’s Guide. In addition, FREE resources, such as video links, church bulletins, flyers, printable forms, are available here. Looking for an Online Group? Are you looking for a safe and confidential online community to come alongside you in your journey? PATH is a private Facebook group that provides ongoing support and encouragement through community discussions. Small study groups are also offered throughout the year where participants enjoy private weekly Facebook live sessions with a group facilitator. Message PATH on Facebook or email Jeannie at jpittam44@gmail.com for more information. GotQuestions: How Can a Woman Experience Healing After Abortion?